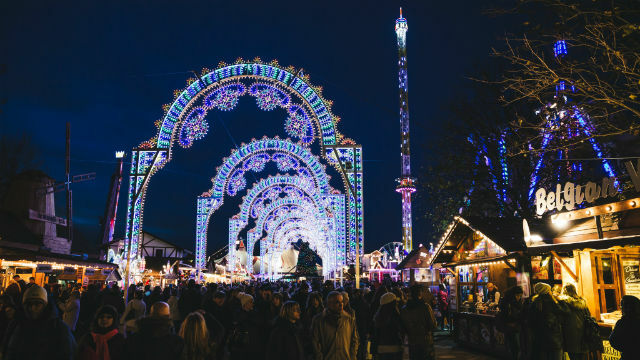 Make the most of the capital’s jolly festivities and add some sparkle to your trip with our magical guide to 101 of best things to do in London at Christmas. You’ll soon discover there are many festive ways to celebrate Christmas in London. 1. Hyde Park’s Winter Wonderland festive atmosphere. 3. Christmas in Victorian style at Kensington Palace. 4. quirkiest things to do in London at Christmas. 5. Wander along the beautiful botanical gardens during Christmas at Kew. 6. London’s annual Great Christmas Pudding Race. 7. Colourful Enchanted Woodland at Syon Park. 8. At Somerset House‘s 18th-century courtyard ice rink. 9. Henry VIII’s residence at the Hampton Court Palace ice rink. 10. Skate near the spectacular Tower of London. 11. 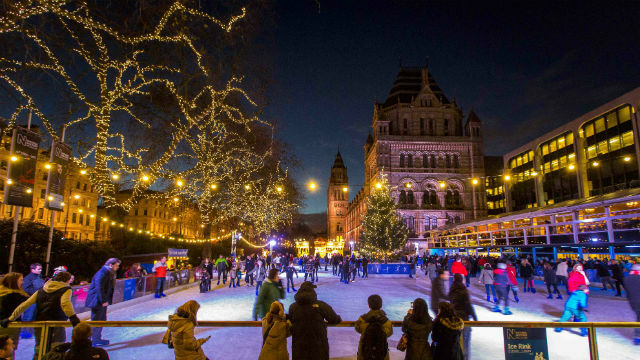 Glide around the Christmas tree at the Natural History Museum’s magical ice rink. 12. Slice the ice next to the famous Wembley Stadium at Wembley Park. 13. Wrap up warm and go for a spin on the Broadgate Ice Rink. 14. Twirl on the ice at Canary Wharf. 15. Trafalgar Square’s world-famous Christmas tree. 16. Furry friends at the Battersea Cats and Dogs Home Carol Concert. 17. Christmas carols at the historic St Paul’s Cathedral. 18. Carols by candlelight at the Royal Albert Hall. 19. Concerts at St Martin-in-the-Fields Church. 20. Listen to The Lewisham and Greenwich NHS Choir at the Cutty Sark Christmas Concert. 21. Santa’s grotto at ZSL London Zoo. 22. Take a sleigh ride with adorable huskies at WWT London Wetland Centre. 23. Aboard a merry cruise on the river Thames with Father Christmas. 24. Say hello to the jolly man in red at his Greenwich Market home this Christmas. 25. Embark on a festive adventure to Santa Claus’ grotto at the Royal Albert Hall. 26. 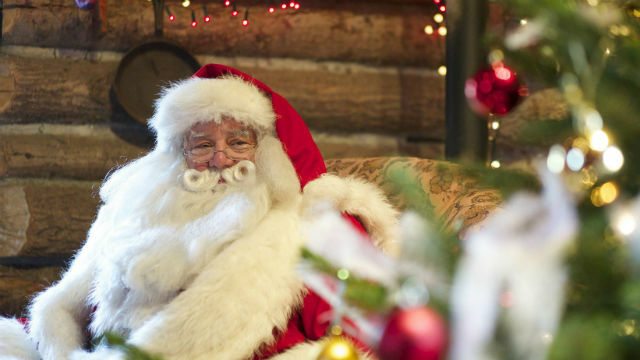 Travel back in time to meet Father Christmas at the Museum of London. 27. Design Christmas dazzling decorations at the Wallace Collection. 28. Discover the magic of an 18th-century Christmas during the Children’s Christmas Party at Benjamin Franklin House. 29. Festive ship-themed decorations at Cutty Sark. 30. Oxford Street Christmas lights shimmer in the skies above the world-famous shopping district. 31. 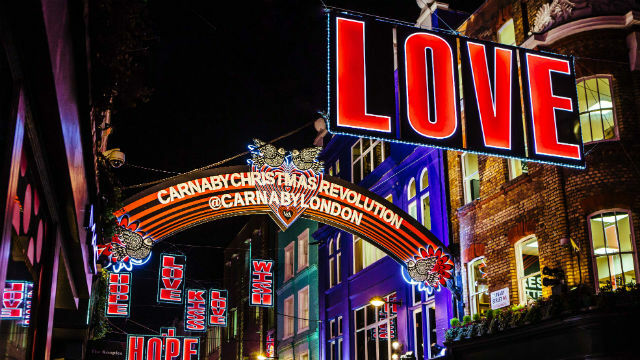 London Christmas lights displays, glowing across the 13 streets of cool Carnaby. 32. Admire the gorgeous Covent Garden illuminations, and explore the magical forest of Christmas lights in nearby Seven Dials. 33. See the luxurious area of Bond Street sparkle with magnificent peacock-inspired Christmas lights. 34. Over 300,000 Christmas lights and 16 glowing spirits glittering above Regent Street. 35. Duke of York Square gloriously dressed in festive lights. 36. Stroll along the South Bank with a bag of roasted chestnuts and be dazzled by the Christmas lights twinkling next to the Thames. 37. London’s magnificent Christmas trees, including the world-famous tree in Trafalgar Square and spectacular spruce at London’s legendary Mayfair hotel Claridges. 38. La Soiree’s daring cabaret acts in Leicester Square. 40. Ballet with The Red Shoes at Sadler’s Wells. 41. Watch an enchanting candlelit performance of The Little Matchgirl (and Other Happier Tales). 42. Immerse yourself in the magical world of The Nutcracker at the Royal Opera House. 43. Discover the classic story of The Very Hungry Caterpillar and other children’s tales. 44. See all of your favourite Disney characters during Disney on Ice presents Frozen at The O2. 45. 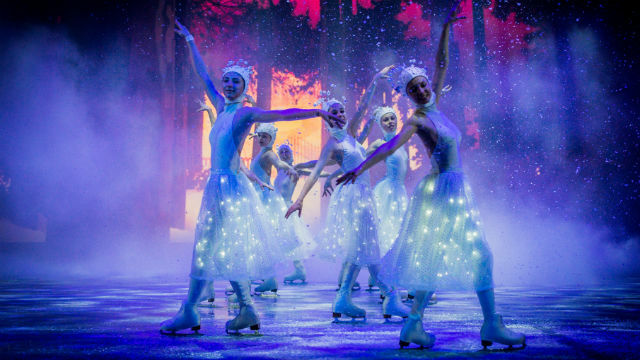 Catch an action-packed performance of The Nutcracker on Ice. 46. Chuckle along to Potted Panto at the Garrick Theatre. 47. Enjoy the magical tale of Raymond Briggs’ The Snowman at the Peacock Theatre. 48. Shout “oh no it isn’t!” during pantomime Cinderella. 49. Enjoy a family trip to LEGOLAND Windsor, where you can meet Father Christmas and spot festive-themed LEGO creations. 50. cosmic Christmas planetarium show at the Royal Observatory Greenwich. 51. How Christmas has been celebrated in English middle-class homes over the past 400 years at the Geffrye Museum. 52. Enjoy an exciting programme of seasonal events at the Charles Dicken’s Museum. 53. Learn how Christmas was celebrated on the Home Front at the Imperial War Museum. 54. Join the Christmas Party with The Overtones at Indigo2. 55. Jingle Bells and other songs at the BT Christmas Concert at the Royal Albert Hall. 56. Classical concerts throughout the Raymond Gubbay’s Christmas Festival at Barbican. 57. 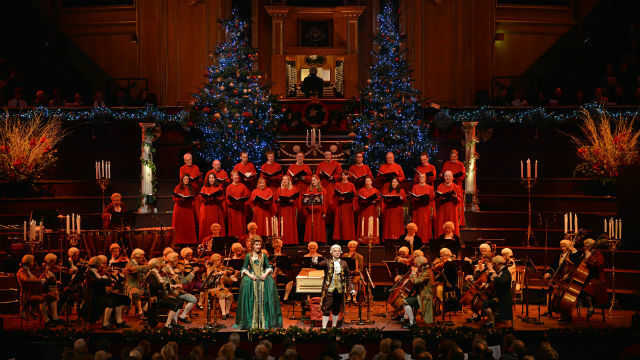 Royal Albert Hall’s annual Christmas Festival. 58. Christmas concert or carol service. 59. Gourmet Christmas treats and hampers at Fortnum & Mason. 60. Unusual presents at these alternative Christmas shopping spots. 61. West End‘s famous shopping hubs of Oxford Street, Bond Street and Regent Street. 63. Check out Carnaby Street’s independent shops and cool fashion boutiques. 64. Dedicated Christmas shops, including Harrods, Selfridges and Liberty. 65. Treat kids to a visit to one of London’s top 10 toyshops. 67. Art gallery shop, such as the National Gallery or Tate Modern. 68. Discover quirky toys at one of London’s museum shops, from the Science Museum to the Natural History Museum. 69. Christmas shopping done in one day with our shopping itinerary. 70. Finish off your Christmas shopping at Westfield London and Westfield Stratford City. 71. Find bargains galore in the January sales that begin on Boxing Day. 72. 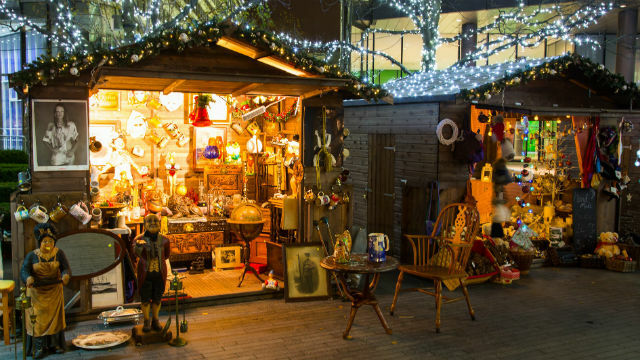 Sip on mulled wine and look for gifts at the Winter Festival at Southbank Centre. 73. Find unusual crafts and tuck into seasonal treats with Christmas by the River at London Bridge City. 74. 100 stalls at the festive Greenwich Market. 77. Find gifts and festive treats at more than 100 stalls at the Christmas Fair at Chelsea Physic Garden. 78. Wrap up warm to browse the market stalls at Christmas in Leicester Square. 81. Festive sparkle to your home at the Ideal Home Show at Christmas. 85. Christmas puddings from the famous food halls at Harrods. 86. Hot chocolate at Choccywoccydoodah. 87. 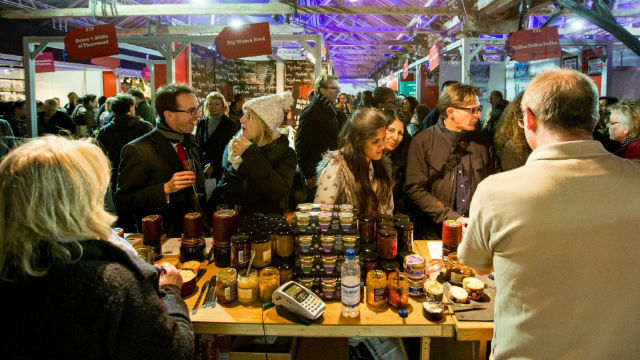 Food and drink at Taste of London Winter. 88. Crackling fire in a cosy pub. 89. London’s festive food and drink experiences. 91. Gingerbread and hot mulled English cider at Borough Market. 92. Christmas toast at one of London’s champagne bars. 93. Roasted chestnuts on busy shopping streets. 94. Watch swimmers brave the icy waters of Hyde Park’s Serpentine to compete in the Peter Pan Cup. 95. Prepare to be wowed by the amazing exhibits at Ripley’s Believe It Or Not – one of very few major attractions open on Christmas Day. 96. Walk off those festive treats with an amble around London’s beautiful parks. 97. Tuck into a delicious Christmas dinner on the Thames. 98. Spend the afternoon in the vibrant area of Chinatown. 99. Hop aboard an open-top bus tour to see London’s Christmas lights sparkle at night. 100. Attend a Christmas day church service at St Paul’s Cathedral. 101. 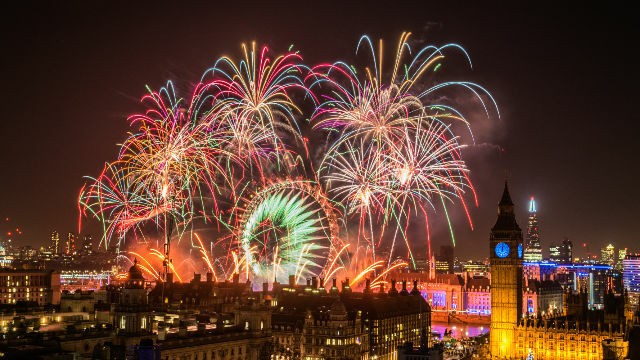 Start planning your New Year’s Eve in London !! For more seasonal suggestions, check out our guide to Christmas in London including festive events and seasonal things to do in London at Christmas.